Wednesday, October 3rd, 2018 at 7:30 p.m. There has been a recent increase in suspected illegal activity and break & enter crimes in our neighbourhood. 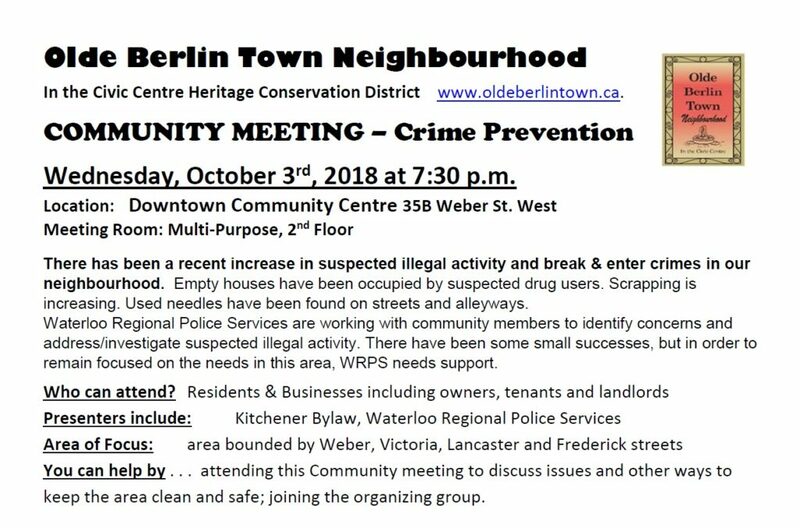 Waterloo Regional Police Services (WRPS) are working with community members to identify concerns and address/investigate suspected illegal activity. There have been some small successes, but in order to remain focused on the needs in this area, WRPS needs support. You can help by . . . attending this Community meeting to discuss issues and other ways to keep the area clean and safe; joining the organizing group. There have been a number of break-ins and attempted break-ins in Olde Berlin Town recently. 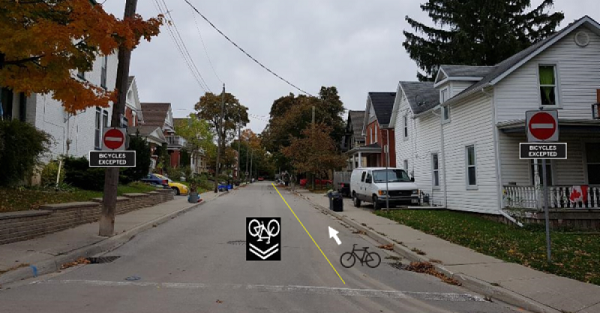 We are working to arrange a neighbourhood meeting with Waterloo Regional Police. An event notice will be posted shortly. In the meantime, the basis of a community safety sub-committee has been struck. 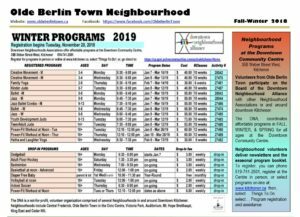 Please contact us at writeus@oldeberlintown.ca if you would like to help.